CESA 2012 reminds that the submission for abstracts is opened until May 29th. 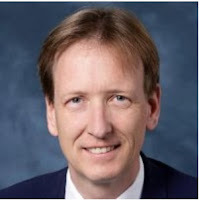 At this point, the congress has already confirmation of more than 60 participants for key-notes and round table discussions including representatives from the automotive industry and adjacent industries such as electronics in general, railway, communication, city representatives and market research organizations from Europe, France, Germany, Japan and the Netherlands. This year, the top level roundtable discussion format will be enhanced by more in depth sessions, detailed presentations and discussions of technical papers. 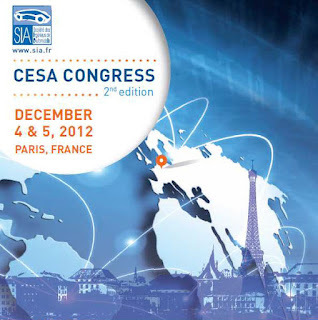 CESA will be held on December 4th and 5th in Paris with the support of the PFA and Automotive Clusters. It's the most important automotive electronics conference in France. In french, PFA stands for Plateforme de la Filière Automobile (Automotive Industry Platform). 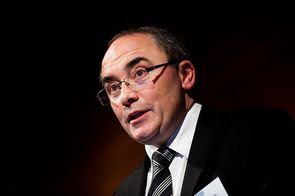 This organisation has been created in 2009, in order to facilitate the relationship between OEMs and suppliers and to prepare the migration towards a more efficient industry. Headed by former Michelin chairman, Michel Rollier, the PFA has several working groups. French OEM has sold over 1 million cars equiped with an e-Call system, under the brands Citroën (e-Touch) and Peugeot (Peugeot Connect). Since 2003, 5000 persons have been rescued in 10 countries in Europe. 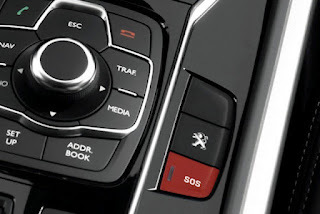 In case of accident, a SMS is sent (either by the driver by pressing the SOS button, ou automatically when the airbag is activated), with the vehicle location and its ID to a dedicated platform*. Then, an operator can call the driver in his native language to ask him questions about the situation. If there is no response, the platform will then warn the rescue services with all the relevant data. The PSA system can save precious minutes, and then lives. A location based assistance service is also available, in case of breakdown. In 2010, PSA introduced a new on board device. This box separates e-Call services from other telematics functions, such as hands free communications. CESA 2012 partner, the cluster Véhicule du Futur backs an innovative project called Safeplatoon. Involving the university of technology of Belfort-Montbéliard, this project aims to develop strong algorithms in order to enable driverless cars to run in real life traffic. Automated vehicles could then drive in the streets and park by themselves. The technology could be used by the automotive industry, and also for military and agriculture applications. 3D simulation will be used, thanks to Pro-Sivic platform from Paris based company Civitec, before practical tests. Started in 2011, Safeplatoon is a 36 months project. 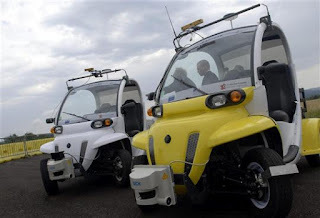 All partners, such as LASMEA and Ligier, have already developed automated vehicles. A showcase is scheduled in 2013 in the streets of Belfort, in the eastern part of France. Valeo is supplying Renault with two driving assistance systems. The BeamAtic lighting automation and LaneVue lane departure warning applications will equip the new mass-market Scenic, Grand Scenic, Mégane, Mégane coupé and Mégane estate facelift vehicles. 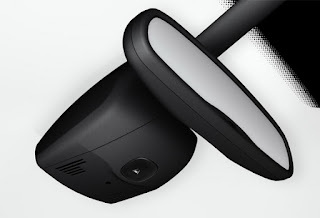 These applications are embedded in the Valeo multifunctional camera, located between the windshield and the rearview mirror. The BeamAtic lighting automation system takes over the lighting commands to optimize the use of high beam. It switches back to low beam as soon as an oncoming or leading car is detected by the embedded camera. The system alleviates the stress of constantly switching the headlamps on and off, thus improving nighttime driving comfort and safety. On 10 May 2012, the 79 GHz consortium will hold its first Plenary Meeting in Boras, Sweden. It will be the opportunity to give an overview of the achievements and of the work that has been carried on at global level. This event will present the activities with vehicle manufacturers and automotive supplier associations, the latest results from the MOSARIM EU Project, as well as radar bandwidth requirements for new ADAS functions. 79 GHz is a European research project under the Seventh Framework Programme. The aim is to establish a global, world-wide available and harmonized frequency allocation for vehicular radars. Today, the 79 GHz radar equipment is only authorized in the 27 EC member states, in most of the further 21 CEPT countries, in Singapore and Australia. In all other countries the operation of 79 GHz radar devices is not possible due to the lack of any regulatory framework for this frequency band. 48 V, what is so interesting this time? Most of us remember the discussion on the 42V in the nineties. There was a lot of excitement around the introduction of a second voltage level for on-board power supply besides 12V in passenger cars. With an ever increasing need for electric power, the fear was to reach too soon the limit of the on board generator to supply power to the devices such as air conditioning, heating or electric steering. However, 42V didn't succeed, because engineers found ways to limit power consumption, implement intelligent power control, install buffers and Increase the capacity of on board generators to levels sufficient for a long time to supply energy. It is still time to participate with a paper in CESA ! The CESA 2012 congress preparation is progressing well. As it stands today, we have already confirmation of more than 60 participants for key-notes and round table discussions including representatives from the automotive industry and adjacent industries such as electronics in general, railway, communication, city representatives and market research organizations from Europe, France, Germany, Japan and the Netherlands. But there is still room for presentations in the technical sessions.